This is a plugin for Indigodomo that aims to create any Windows Computer as a IndigoDomo device. 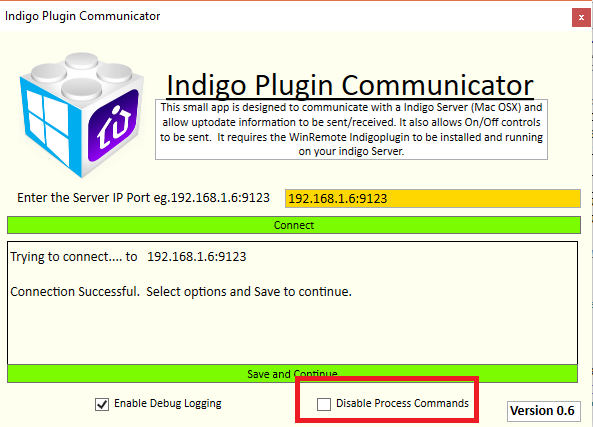 This enable status updates within Indigo, the plugin also displays what is the foreground Application on the Windows Computer, CPU, Memory Free etc. It also enables Turn Off/Turn On (using WakeonLan) commands as well as custom commands to be sent. To do this we need two way communication back and forward to indigo. This is achieved through running a simple server with this plugin on Indigo and a separate windows tray application to periodically communicate back to the Indigo Server on the Windows PC. 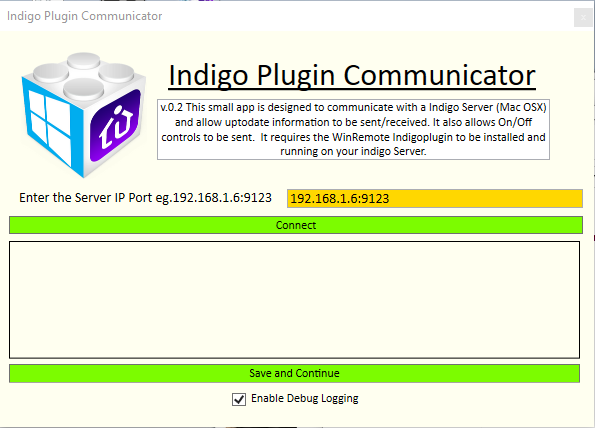 There are two apps - One for Indigo Server, and One for the Windows Computer - IndigoPlugin Communicator - they both, and all instances communicate through a single port This Defaults to port 9123. 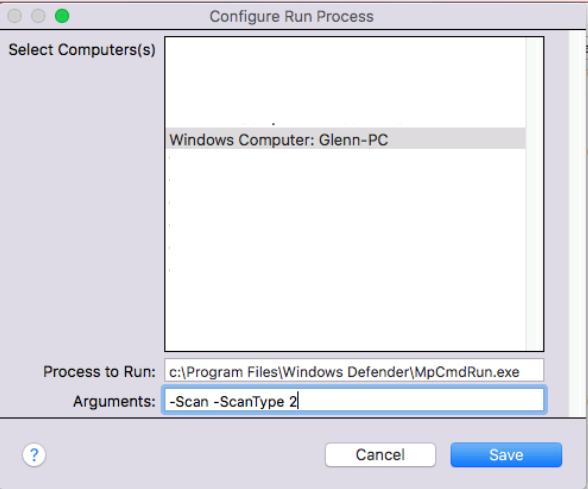 Can Message Windows PC on events as required. 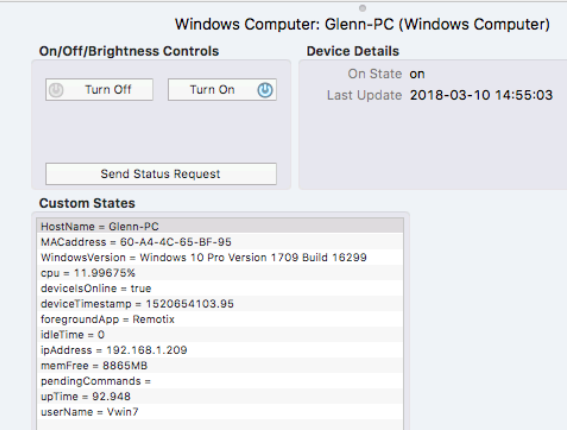 Security triggers, motion, doorbell - can pop up message on Windows PC. To setup install the WinRemote IndigoPlugin on your Indigo Server. Select the port to use/Defaults to 9123. This needs to be a free unused port. 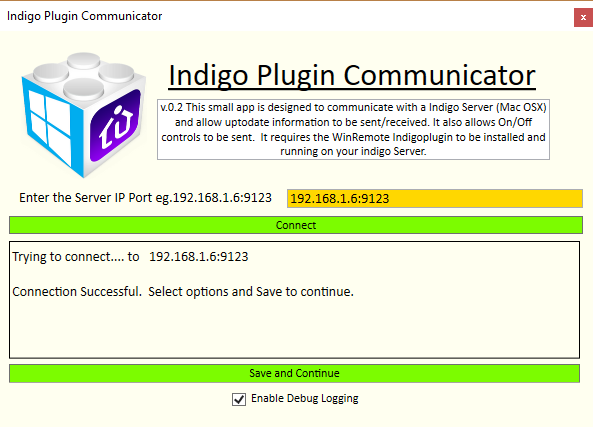 For the plugin to work - the Windows Application needs to be able to 'talk' to the Indigo Server on this port. Both Indigo Mac and the Windows Computer must allow communication or traffic through firewall on this port. Open up Firewalls to either this port or this app to allow this. Once the WinRemote plugin is installed on the Mac. Enable it if not enabled. Ideally create a Devices Directory in Indigo Server Called "Windows Computers"
When new Windows Computer devices are created they will be placed here. Once created, they can be moved/renamed etc as needed and will not be recreated unless deleted. The devices are only created either at startup of the IndigoPlugin Communicator app, or when the connect button is pressed. So if you need to recreate a Indigo Device just re-press connect on the PC Indigo Communicator app. Run Installer for your version of Windows (32bit or 64bit). If not sure just use 32bit - not sure there is any practical difference. The Installer also should create a startup entry so app will run on Startup/log in of that user. Next run the IndigoPlugin Communicator app. As the Application is not set up will need a few settings need to be entered. Once entered press the Connect Button. Now you should see a little indigo icon in the Windows Taskbar. Double click the taskbar icon to make disappear/reappear, or right click on the taskbar icon to Hide Window/Show Window and Exit program. Now on the Mac server within the 'Windows Computers' folder or the main device folder you should see a new 'Windows Computer' Device. There is only one setting which is as below. If this is checked the Computer will ignore any Turn-Off Commands sent to it. This is to avoid accidentally turning off. This will Turn-Off the selected computer within 10seconds with a 10 second warning. This can run any process on the Windows PC that the logged in User has access to. e.g. Notepad, chrome, etc. 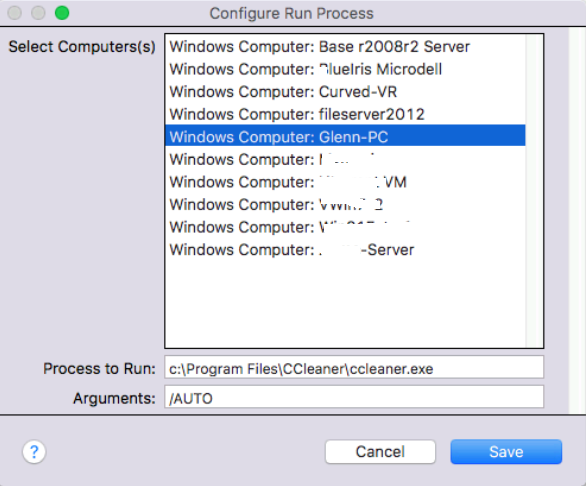 Select Action Group, Select Computer (can send same command to multiple computers), then enter the process itself. 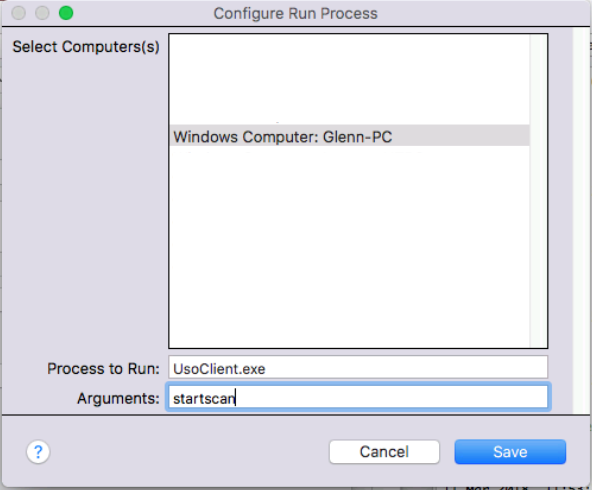 (this will need path if doesn't run without path in cmd.exe) Then enter any arguments if any required for the process. PC Version - 7 - unchanged.